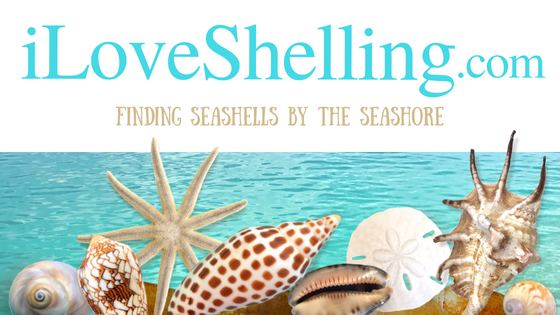 It’s that time again to look back on our fabulous year of shelling! After revisiting each blog post of 2012, it was hard to narrow down the 10 best days on the beach this year because I met so many incredible shellers, saw so many beautiful seashells, witnessed amazing sea life and learned so much about the world of shells. Counting down from #10 to #1, click on each title or photo to see the final fave days of the year. I hope they are your faves too! 2012 New Year Brings BIG Shells! i Love Shelling After A Storm! What a cool “Best of the Year”! Well done Pam, what a year it was! It’s hard to pick a favorite among your posts Pam – they are ALL good! Happy New Year! Glad it has been a good year for you. May 2013 be a healthy and prosperous year for you and Clark. Thank you Pam for the wonderful recap! The true tulip video was my fav – felt like I was there shelling with you. You are awesome for bringing us this little piece of heaven! Happy New Year to you and Clark and all the others out there in shelling-nation! I could not pick a fave – I love them all and just as much as I did three years ago, I anxiously await each update! Hi Robyn. Funny u should say that about the helmet because after I wrote the post u realized it could have been a different helmet so I got s positive ID from dr Jose leak. It’s a queen! Pam, I have enjoyed reading your posts for the pst 11 months. While recovering from a closed brain injury and stroke I found your site in the hospital (was there for 37 days) I read it daily and it brought a smile to my face. Because of this thoughtI found your # 1 pick “Queen for a Day” my favorite. I love your smile…..that look is how you made me feel each time I read your wonderful post. You may not remembre my earlier post but I had my therapist really work with me to walk again and to learn how to walk on uneven surfaces because my husband was going to take me to Sanibel Island. I did lget back to walking again with a pole/cane and was able to bend down and pick up small objects such as shells!!. So, your pictures and stories about Sanibel really motivated me to work very hard . In June my husband and I did travel to Sanibel, I was ready to walk the beaches and collect shells with my husband’s arm. We arrived one day after Tropical Debby hit,… my therapist did not work with me on the factor of wind while walking. ….Unable to handle the strong winds and the lack of beach we left for Ohio after one day. BUT…I’ll be back, we have reservations for this June. I am hoping to meet you on the beach this time, I missed you last time, I saw your car in a parking lot on Captiva but did not venture out because it was not nice. We did not realize it was your car untilo later from a blog mentioning your car description. Thank you for a wonderful year of cyber shelling and dreaming of the sand and shells. Thanks! Happy 2013 to you and Clark. My second favorite is the #2 post, the video is my absolute favorite video you’ve taken!! its the extra nudge of inspiration i’ll need for getting up extra early to shell when i get back there. My first fave is your #1 choice. I just love your excitement! Its so infectious, its no wonder since sanibel is such a magical place :) happy new year Pam, Clark, and all my fellow shellers!! What a heartwarming story. Best of luck on your recuperation, and I hope you find a bonanza in June! Pam, your generosity in keeping up this blog reaches far and wide. happy, Happy New Year to all! Great Top 10. I loved your video of the true tulips! My husband & I watched it together and were shelling right along with you. Can’t wait to get back there in March! Hoping for some strong winds and amazing shelling!!! Happy New Year to you and Clark! Your blog makes me, and so many others, very, very happy!! Oh Loree. You have warmed my heart with your sweet words and your story. I do remember you saying you left early after the storm but I didn’t know why. Next June, you will be stronger and I can’t imagine we will have another storm at the same time. I’d love to see you and celebrate with you as you WALK the beach. Happy new year! Great recap Pam!! Thank you thank you!! Great photos, Pam. Sorry we missed you while on our stay @ Mitchell’s Sandcastles. Found some great shells during the cold snap. One day around noon a large shell bank built up just past Access 7 and it was like the Gold Rush!!! Yee Ha. Had a good time. What a great year’s review. We love following your blog. It helps us keep a toe on the beach while the other nine toes are encased in ice. We hope to be back in February for a month or so. Happy New Year to everyone! Hey Pam, I have to tell you I check each and every one of your post. Coming to Sanibel for this weekend for 3 glorious weeks. Maybe we will pass you on the beach one day! Happy New Shell Year everyone! After shelling today at Sanibel Island, #6 “How To Find Wentletrap Shells On Sanibel” is definitely my favorite! My husband and I watched this video last night in the hotel room as we rang in the New Year. This morning we went to Lighthouse Beach determined to find wentletraps. Sadly we did not find hardly any good shells. There were tons of live tulips and murex near the pier. We had one nice surprise…. four dolphins swam within 20 feet of us while we were out in the water. In the afternoon, from the lighthouse, we briskly walked 30 minutes west down the beach and found a very large area of swallow water. I stopped, looked down, and saw bubble shells and the “coffee grounds”! Remembering your video, I got down really low, let my eyes adjust, moved back the debris and found my first wentletrap! There were so many it was impossible to pick them all up. Everywhere I saw bubble shells, there were wentletraps. I think they must be best friends:) These guys also had lots of minis accompanying them. On a side note, my husband found a perfect, empty lace murex in the swallow water. Thanks again, Pam, for this awesome blog! Your posts and videos helped to end our vacation on a high, memorable note. Thank you!!! You get around woman !!!! Terri! Hi! I havent “seen” you in a long time so its so good to hear from you. How about that article, huh? The same article showed up in Virginia Beach paper too and my family got a kick out of it. Thanks so much for letting me know about it out there and for the link.